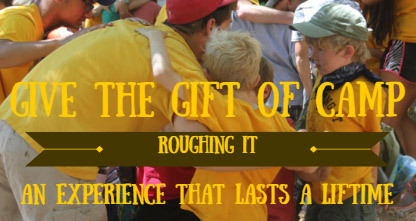 Give a child the gift of camp by making a donation to the Roughing It Foundation. The Roughing It Foundation provides camperships to children to attend Roughing It Day Camp and other Northern California ACA accredited camps. not-for-profit organization to provide camperships to children who would benefit from the camp experience and may otherwise not have the opportunity to attend camp. We love Roughing It! Thank you so much. It has made a real difference in my children's lives"